Noodles joined the family a month ago. 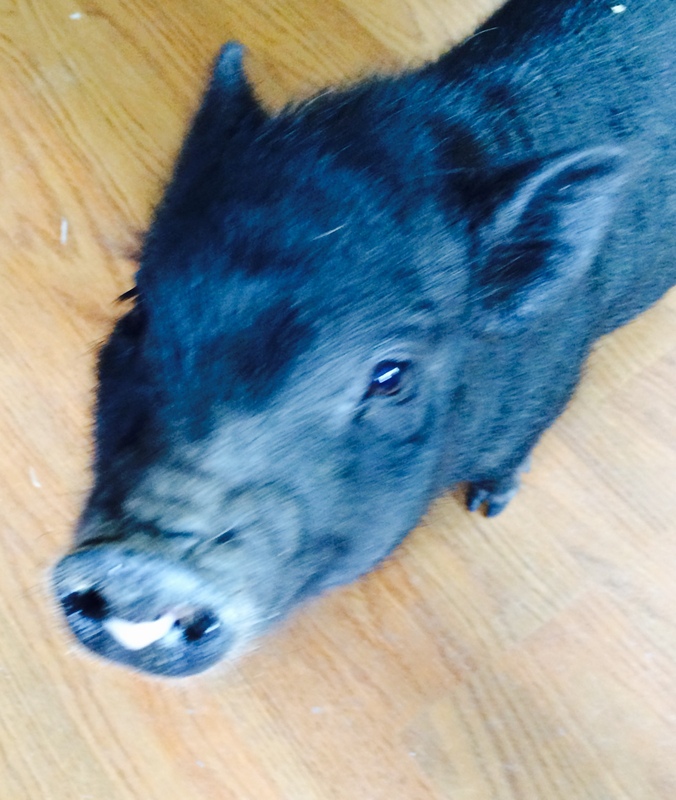 She is a teacup mini pig that we got from one of Steve’s coworkers who raises them. She has endeared herself to everyone except Mojo and Zoe. They do not understand what the pig deal is about the noisy little thing and wonder what in the world we were thinking? . She is a bit of a drama queen and can really throw a fit if she doesn’t get what she wants when she wants it. She is affectionate, independent, curious and makes us laugh a lot. I love her. Here are a few videos of Noodles first month with us.